The lake and estuary are very full and full of fresh water and although the mouth is unlikely to breach until next summer’s rains at least the level is considerably higher than last year. Let’s hope it breaches after 12 years for the first time this coming rainy season. I have heard of a few shad being caught at Mapelane. 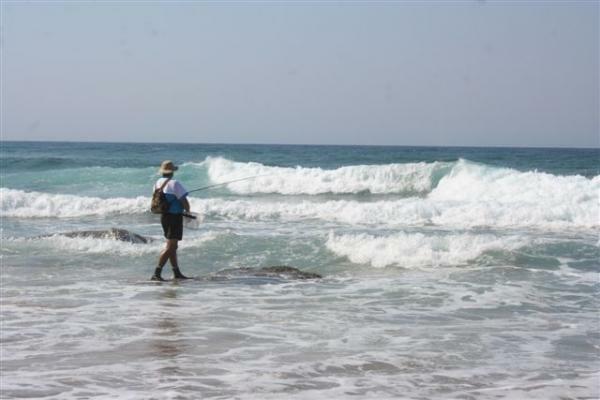 At First Rocks north of St Lucia and also at Mission Rocks there has been good scouring taking place close in which makes for easier fishing. For some unknown reason the 3 spot pompano have been quite scarce, but after the heavy seas there is quite a bit of seaweed floating around. We have found that if one get an orange or red coloured fly (red bait patterns) with a floating line near the weed there are plenty of stone bream to be had.